I have been reading some interesting studies recently that confirm research I’ve done in The United Methodist Church on morale, satisfaction and contentment: our happiest people are happy by choice, not by chance. This is a hard message for people who live from a basic victim mentality who feel the world is against them and that they simply cannot be content in a world that treats them so poorly — but luckily, this is a tiny minority (though quite loud!) that does not represent the whole. Most people are passive and reactive, not understanding the power they have to choose their emotional state. While the majority do not feel victimized, they do feel that the conditions of their emotional well-being are beyond their control. 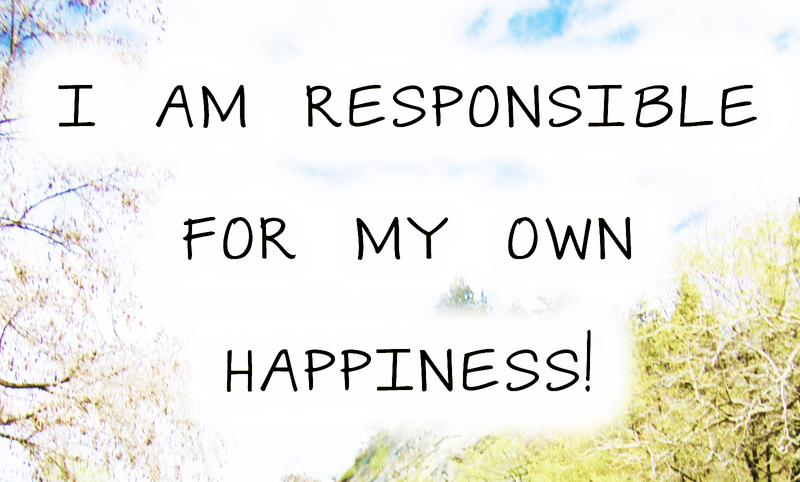 Many resist the idea that they are responsible for their own happiness, but apparently it’s true. Among those who self-report contentment, happiness and satisfaction — as well as those identified as happy or content by others — an overwhelming percentage (between 80-90%) report making a conscious decision to be happy, positive, and joyful. The source of contentment for the truly content is internal, not external — they do not expect the world to bend over backwards to make them happy; true happiness comes from within. Now, this should be no news to Christians. Those who find the quiet center in Christ know that our joy and happiness is not “out there”. But in general, for spiritually and emotionally mature people, inward contentment and satisfaction is a no-brainer. Hoping that others will fulfill us, please us, accommodate us, and satisfy us is simplistically setting ourselves up for crushing disappointment. When our contentment is internal, external changes, disappointments and losses have much less power to undermine us. The hard news for many is this: if we’re unhappy, it’s on us. Content and emotionally mature people have no problem with this. The passive majority is skeptical and not sure they like the idea. The victim fringe hears “responsibility for” and “blame” and they are furious that anyone would suggest their unhappiness is “their fault.” But this is not an indictment; it is merely reporting what the most truly contented tell us about their state of heart, mind and spirit. Most unhappy people are unaware of the ways they are allowing themselves to be manipulated and reactive. They don’t see happiness as a “choice” — they are not living their lives; life is happening to them. Yet, this is significant for those who call themselves Christian. We are no longer “tossed to and fro by every wind” but are organizing life around a faithful center. Core qualities of contentment are the fruit of God’s own Spirit — peace, joy, patience, gentleness, and self-control. If we have Christ inside, contentment and satisfaction is not open for debate. This is fairly basic “if/then.” If Christ, then joy. If Christ, then peace. If Christ, then mercy. If Christ, then love. We choose to be “in Christ,” and we choose to have Christ “in us.” We choose to learn and grow. We do have both a level of control over and a responsibility to choose our emotional and affective orientation. Children lack self-control — it is part of what is so free and easy about being a child. But adults who act out, throw tantrums, and blame others for their unhappiness are abdicating their responsibility to grow up. What changes when we realize that happiness is a choice and not happenstance? When we decide to view life as a comedy rather than a tragedy, how does this reframe reality? When we grab onto the “don’t sweat the small stuff… and it’s ALL small stuff” worldview, how are we empowered? These are things we should be lifting up and teaching in church. Our faith has concrete and tangible benefits that many remain painfully unaware of. God’s power infuses and imbues us with protection from the vagaries of daily living. Life no longer happens TO us; we’re in control. And a sense of control has a very strong direct correlation to sense of contentment and happiness. Those who have a strong sense of control over what happens to them are way more contented than those who feel they have little or no control. But even in this case, sense of control is internal rather than external. The most contented report a very clear sense of what is within their control to change or decide and what is not. One thing consistently within the control of the contented is how they will respond to negatives. They “decide” not to be disillusioned, insulted, aggravated, annoyed, irritated, angered or irate when things don’t go their way. They make a commitment to look for the good, focus on the positive, forgive minor slights, and respect and be kind to others — even those with whom they differ. This is as simple as it sounds, but that doesn’t make it easy. To take responsibility for one’s own outlook and emotions is a full-time, lifelong job — and other people don’t make it easy. But that is the bottom line for the truly content — they are not defined by other people’s actions, attitudes or expectations. They are fully actualized, self-differentiated individuals who are able to engage and interact at a highly mature and stable level. And this is available to us all, if we want it and will work for it. Wouldn’t the witness of the Christian church be amazing were we to embrace the power of God’s Holy Spirit, live the fruit of said Spirit, and choose to be content with who we are and what we have, to be satisfied with whatever situation in which we find ourselves, and strive in all ways to be happy and to share joy, contentment, and grace with everyone we meet? Amen and AMEN! This rings as one of the greatest truths of the human condition, but as you said so well, those who are unhappy don’t believe it, and those who are victims of society are enraged by it as just another way “The Man” is kicking them while they’re down. I’m not even sure if I’m brave enough to “share” this on my Facebook page, for fear that those who I hope will read it and accept it in the true spirit of love and concern with which would share it would be taken as a flippant “just get over it” comment on their unhappiness. Thank you Dan, and may this message fall on the ears and into the hearts of those who most need it! It is kind of a vicious cycle — people who feel blamed for their own discontent hear “responsibility” as just one more way that the burden falls on them. I had a conversation with someone who said I was “blaming” those who weren’t happy and he swore up and down that the statement I made, “The happiest and most content respondents in the study claimed full responsibility for their own state of mind,” placed blame on the malcontent. When the victim filter is in place, it frames everything in the negative — and naming the frame just makes it worse. It is tough, because what I think of as a word of grace (you can be more content and satisfied if you so choose) is heard as a statement of condemnation (if you aren’t happy, it is your own fault). Dan, you write that 80-90% of people who are happy see this as something in their control. What percentage of the overall population describes themselves as happy? On another front, as I read your post, it does not sound like God is necessary for this. It is all about what I choose, but does that choice have anything to do with the Father, Son, and Holy Spirit? Do these happiness statistics show any kind of correlation with being a professing Christian? John, it is a pretty standard bell curve — about 7% of the sample in the research I did with Iowa fell in the “very/extremely content/satisfied” category; about 11% in the “very/extremely discontent/dissatisfied” (~80 in the middle — 46% to the left (less satisfied/content)of center; 36% to the right (more content/satisfied). Huge numbers of pastors feel discouraged, underappreciated, and would quit if they could. Are pastors, as a group, too enthralled by the victim mentality? The best advice I have read recently is life is something to be received not created. The problem is, we are no longer instructed in how “God’s providence and creation” benefits us. Nor are we given enough “head knowledge” to even begin to develop any level of understanding of God’s love for each individual bag, baggage and warts. I will be 60 years old on Saturday and after a lifetime of being a good Methodist, I was forced to give up and “chase the joy down” on my own. The only clear cut lesson I had learned from my long-time UMC was “The church is imperfect and will let you down.” And I learned that lesson extremely well. And they are referring to knowledge of basic things like “Who is God the Father”, Who is God the Son?”, Who is God the Holy Spirit?”, “What are Human Beings?”, What is Sin?”, “What is Salvation?”, etc. The words in brackets are my personal addition.